Home News The Dream is Possible! How Patrick used College Soccer as a platform to Professional Soccer. 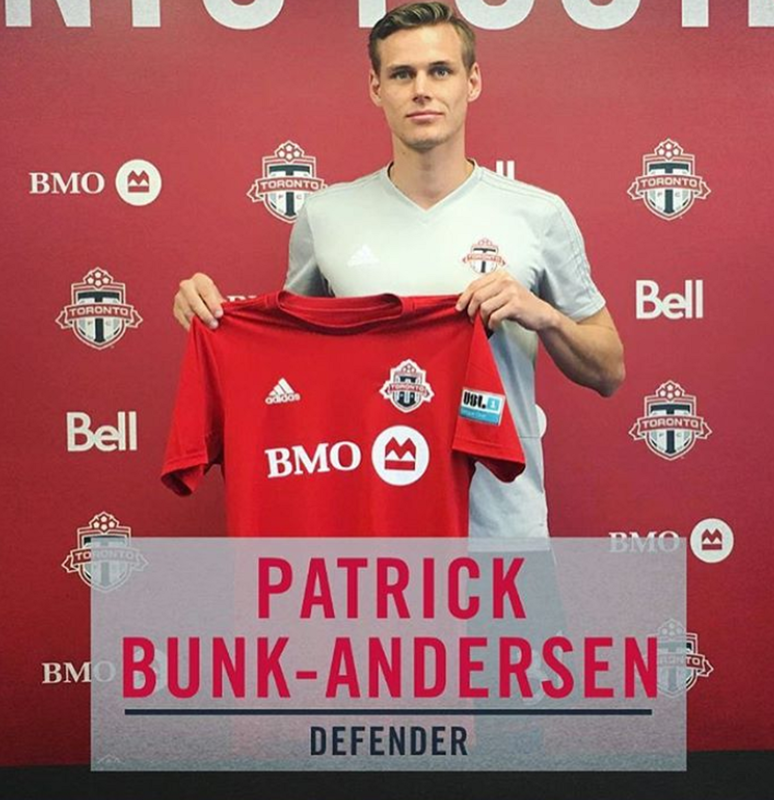 After being picked at the MLS Superdraft in January 2019, last week Patrick-Bunk Andersen (Denmark) signed his professional contract at Toronto FC II. This is the start of a new journey for Bunk-Andersen, who we hope and expect to have a long career as a professional soccer player. In 2014, the young center back was playing at his local club in Denmark, Hvidovre IF, and was starting to break into the first team squad when he, along with us at College Scholarships USA, started exploring the prospect of combining his bachelor education with college soccer in the USA. There were a number of interested recruiters, but after multiple scouting trips and a lengthy process Patrick committed his soccer and educational future to prestigious ACC powerhouse Clemson University in South Carolina. In this environment he flourished with world class facilities, coaching staff and ambitious team mates. During Patrick’s four seasons he won multiple individual awards and national tournament runs, even falling just short in the final to Stanford in 2015. Not only was Patrick impressing on the field he maintained excellent academic levels, earning awards there and ultimately graduating with a degree in December 2018. A number of College Scholarships USA athletes have gone on to the professional level after their college careers – showing that this is a great pathway to keep the dream of the ‘next level’ alive while getting a quality education. We are excited to follow Patrick’s career progress and know he will be a great success. He is the prime example of a student-athlete taking advantage of their opportunities and Pursuing their Ambitions.